Simon Katz serves as VP of A&R and Staff Producer for Republic Records. 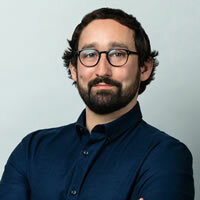 Having joined the label in 2015 as Sr. Director of A&R and Staff Producer, Katz has signed and developed artists such as Dagny, Two Feet, Mondo Cozmo and others. Katz also designed and oversaw the construction of Republic Records' 6,000-square-foot studios in Los Angeles, which have seen artists such as The Weeknd, Metro Boomin, Amine and others making use of the space since opening its doors in 2017. Additionally, as a musician, songwriter and producer, Katz was a founding member of two Republic Records-signed acts with Iglu & Hartly and Youngblood Hawke.